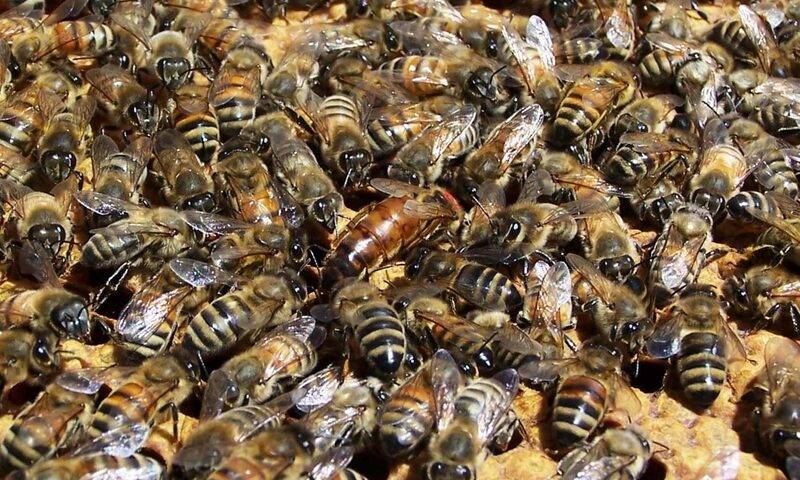 Honey Bee Removal Alabama – We will take the sting and you can have the safety. The honey bees… Well they will get a new home! We will take the sting and you can have the safety. The honey bees… Well they will get a new home! How can you tell if honey bees have moved in ? What should you do about it ? When you see bees flying in and out of some hole or crack, chances are they have moved in. Call today to schedule an evaluation (256) 490-2331 . I know some will let them stay for a while, as long as they don’t give the homeowner any trouble. They will become trouble maybe not right away but eventually they will. Why can’t I just spray them? Honey bees store multiple GALLONS of honey in their nest. They maintain the nest raising future generations of bees that will eat the honey stores. A hive can generally have upwards of 50,000 honey bees. If the bees are successfully killed from spraying what is left behind is the equivalent to 5 lbs of bees and all that honey. Without the bees to keep the hive maintained other critters like roaches and mice move in to forage what remains. This causes the destruction of the nest and may lead to honey dripping into your home creating more issue. What remains may bring roach infestation for years after. Please don’t try to take care of it yourself. That’s how people get hurt. We can come and get them out. Just remember that the sooner you call the easier the removal will be and less invasive to your structure. Why Do We Need Honey Bees ? Did you know that honey bees are the only insect that produces food and medicine for humans ? Yep, medicine. Mellitin, a substance in bee venom has been proven to destroy cancer tumors and HIV cells. Yes this amazing creature needs our help. How can you help? Call us (256)490-2331 to help save a colony of bees in Birmingham Huntsville Anniston Gadsden Oxford Tuscaloosa Boaz Albertville Guntersville Attalla and all surrounding areas. Alabama Bee Rescue was founded to promote natural organic methods of honey bee management and safe honey bee removal services in Alabama. The honey bee is a vital part of the worlds ecosystem and we try to do our part to promote their survivability for generations to come.